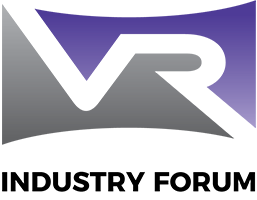 VRIF was proud to exhibit VR demos from Imeve and Nokia / Fraunhofer that implement the VRIF Guidelines at NAB 2018. At NAB 2018, Fraunhofer HHI showcases the world’s first standard-compliant end to end chain for live VR360 video streaming beyond 4K resolution. This includes high-resolution VR360 10K video capturing and live rendering from the Fraunhofer HHI Omnicam-360, tile-based live encoding with the Fraunhofer HHI HEVC encoder, packaging according to the MPEG-OMAF Viewport-Dependent Media Profile and the VRIF Guidelines and high-quality playback on VR glasses and TV screens. Harmonic will show a demonstration of VR 360 legacy using its Cloud Saas VOS360 platform that can ingest, transcode and stream in DASH & HLS at the lowest bitrate using its Content Aware Encoding technology EyeQ. In addition, we will show a VR 8K tiling demonstration of VOD together with Digital Immersion, Tilemedia, Viaccess Orca targeting multi devices and experiences: Gear VR, Tablet and Nvidia shield STB. Nokia will demonstrate a playback system for viewport-dependent video streaming where only the user’s current viewport is streamed in the highest quality, while the rest is streamed in a lower quality. The demo shows tile streaming, where tiles are merged at the receiver so that only a single decoder is required at the client. The content is created by Fraunhofer HHI and is encoded at 6K resolution with the cubemap projection using 24 multi-quality (same resolution) tiles with region-wise packing. The demonstrated system is fully interoperable according to the MPEG OMAF standard.